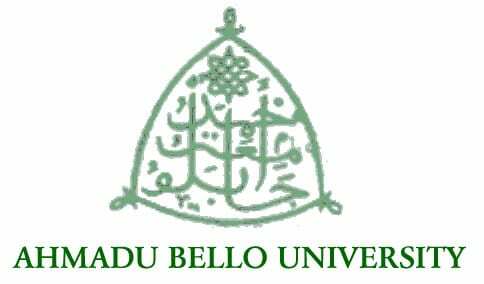 The Ahmadu Bello University Zaria, ABU Admission List (1st and 2nd batch) for 2018/2019 Academic Session Has been released and published on the college portal for checking. This is to inform all aspirants of Ahmadu Bello University, Zaria, that the 2018/2019 1st and 2nd batch Admission List of candidates who are offered provisional admission into the Institution has been released and published on the school official portal. Follow the steps below to check your admission status on the school’s website. Enter your JAMB Registration Numbers in the space provided. Click on the “Search” button to view the ABU Admission List. If you are among those whose names appeared on the admission list (congratulations!) you are expected to visit the Joint Admission and Matriculation Board, JAMB CAPS website to either “Accept” or “Reject” the admission offer. CLICK HERE to check/accept your admission status on JAMB portal. See the ABU Zaria Fresh Undergraduate Academic Calendar for complete details. The NigeriaSchool™ wishes you all the best. We will let you know when it is out. Do anyone here know if the admission list for mass communication is out already? Pls I got 213 as my average, but still no admission is been given to me. when did pre-end admission will release? Nigeriaschool will inform you when 2nd list is released. i scored 223 in my jamb and wen i checked its saying no record found pls does that mean i havent gotten admission pls if yes den wen will the second list be out? You have not been admitted yet. Please will ABU zaria release it’s second batch of admission?? Did all my best to access & view my name but can’t, why pls. Probably, you are not admitted yet. We will let you know when the 2nd list is out. But, is it certain that they will surely release the second list of the admission or is the second list of the admission under probability??? Is that all a b u list or we should put hope for third list again? I don t understand this is my third jamb and i was just wasting money and am getting their cutoff mark but still yet admission is not be giving to me. I don t know But am still waiting for God time, But pls we the leaders we should be truthful in giving people admission some of ur children are in outside the country studying we that we are not privillage to go there we still apply get their cutoff mark but still yet admission is not giving to us i just pray that we will stop this tribalize and give admission in a truthful and in a good way. Nobody can give you admission if you didn’t participate in their screening and score above the cutoff. You have been admitted into Elect Elect (200 levels). You Have Not been offered Admission. We don’t know when the third/supplementary list will be out yet. Pls when is the supplementary list going to be out?